The morning after. We have all been there. A night of partying and celebrating with good friends: While worth it for the memories, takes a toll on the body and all the hard work you have been putting into it all year. However, we are still gonna party! Therefore, we found some blood flowing tricks and tips and mouth watering snacks that will help you combat that headache and (still) start your year off right!! That soul crushing dawn workout doesn't just put a pep in your step afterwards - exercising in the morning has been proven to help boost your metabolism. Studies have shown that people who exercise in the morning burn more calories than those who exercise at other times of the day. A recent study found that a simple 2.5-minute burst of high intensity exercises can lead to an increased caloric burn all day — up to 200 calories worth!! Don't forget to add strength training to your routine as well to build more calorie-burning muscle. Start your day off with this 10-minute muscle-building workout to increase your metabolism and help you look and feel your best. Bananas. High in potassium, which can help prevent cramping. Apples. A small apple is high in sugar and contains a moderate amount of fiber. Will fill you up without weighing you down. Grapes. Like the other fruits on this list, grapes are high in simple sugars that'll give you a jolt of energy when you need it! It's a simple twist on a modern favorite! 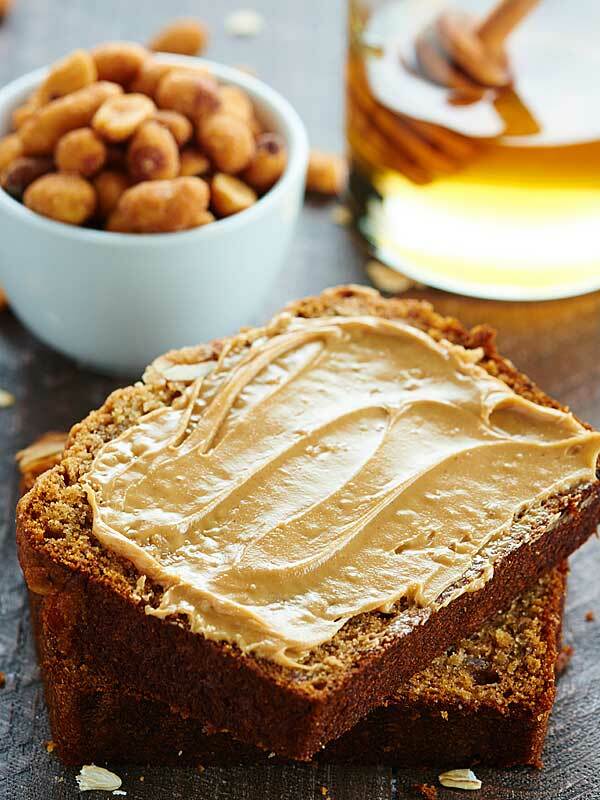 The combination of healthy fat and protein, along with the fiber from the whole grain bread, provides you with the optimal combination of nutrients to keep you fueled for a longer workout.